Michael Bay's 2016 film is getting a 4K upgrade this summer. Paramount is preparing 13 Hours: The Secret Soldiers of Benghazi for 4K Ultra HD Blu-ray on June 11. Starring John Krasinski (“Tom Clancy’s Jack Ryan”), James Badge Dale (World War Z) and Pablo Schreiber (“Orange is the New Black”), 13 Hours: The Secret Soldiers of Benghazi tells the incredible true story of six elite ex-military operators who fought to protect the CIA against overwhelming odds when terrorists attacked a U.S. diplomatic compound on September 11, 2012. The release is expected to have a Dolby Atmos (since the Blu-ray has one) and over an hour of bonus content including a behind-the-scenes look with the ex-military operators recounting the extraordinary detail involved in recreating the events from the attack, plus join the cast and crew as they highlight the filmmaking process and how director Michael Bay brought the film to life. 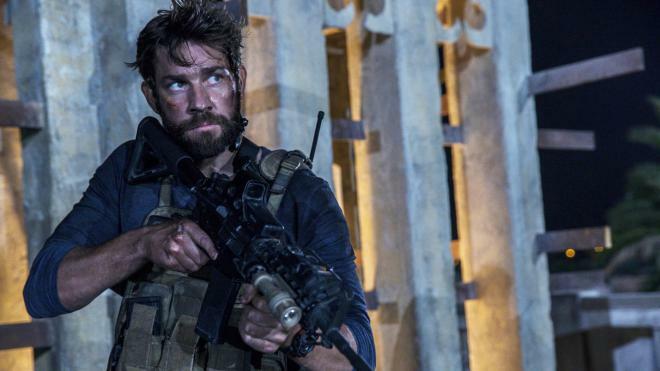 You can find the latest specs for 13 Hours: The Secret Soldiers of Benghazi linked from our 4K Blu-ray Release Schedule, where it is indexed under June 11.